Researcher Junmin Peng (human genetics) works with colleagues in neurology to identify biomarkers for ALS. A new five-year strategic plan for research in the WHSC, initiated in fall 2008, is nearing completion after much hard work by an executive committee and eight working groups from the WHSC Research Advisory Council. The plan highlights tremendous growth in research funding over the past three decades to more than half a billion dollars in fiscal year 2009-2010. The schools of nursing, public health, and medicine all have launched new research plans of their own, which will work hand in hand with the WHSC overall plan. All the plans acknowledge that attracting research funding, which has never been easy, will be even more difficult in the future, with constrained foundation and federal budgets. To prosper and grow, the WHSC report says, Emory University and the WHSC must first embrace research as the foundation and fundamental driver of the creation of new knowledge, which ultimately distinguishes the really great from the merely good universities. The value of research will be tracked through programs like STAR METRICS, a federal and university partnership measuring the outcomes and impact of science investments and demonstrating benefits of those investments to the public. The NIH and the NSF are leading development of the program through the Office of Science and Technology Policy. 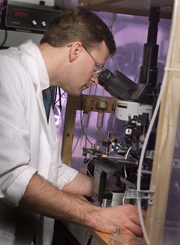 Key elements of the WHSC research strategic plan emphasize interdisciplinary research, integrating research and health care, streamlining research by developing cutting-edge core labs and enhancing IT connectivity, developing intellectual property, commercializing new discoveries, and promoting a culture that values training and mentorship. For totals of what each individual school received during fiscal year 2009-2010, see last issue. Drug discovery is often described as prospecting or mining because researchers have to search through thousands of inert substances to find something valuable. After several years of sifting and screening, scientists Stephen Traynelis and Ray Dingledine (pharmacology), Dennis Liotta (chemistry), and other collaborators now have a treasure trove of compounds that can modify the activity of NMDA receptors, critical players in communication between brain cells. This work may lead to new drug treatments for schizophrenia, Parkinson’s disease, and other disorders. Receptors for NMDA (N-methyl-D-aspartate) act as gates, allowing electrical charges to flow into neurons in response to the chemical messenger glutamate. NMDA receptors play important roles in learning and memory and in several disease states. They come in four varieties, depending on the part of the brain being investigated. The research team has focused on compounds that can target different types of NMDA receptors selectively to either enhance or block them. Last month, they reported in Nature Communications about effects of the compound CIQ, which selectively enhances the NR2C and NR2D forms of the NMDA receptor. Because these forms are altered in patients with schizophrenia, a compound that could enhance them potentially could help relieve schizophrenia symptoms. In July, the team reported in the Journal of Medicinal Chemistry on compounds that, conversely, selectively block these two forms of the NMDA receptor. Experiments with animal models of Parkinson’s suggest that blocking NMDA receptors could compensate for circuit changes that accompany the neurodegeneration associated with the disease. The selectivity of the team's compounds could be especially useful because the NR2D form of the NMDA receptor is highly active in the parts of the brain that are most affected by the degeneration from Parkinson's. Additionally, the compounds' ability to block NMDA receptors selectively could avoid side effects (symptoms that simulate schizophrenia, for example) seen with nonselective drugs like PCP that block NMDA receptors everywhere in the brain. NeurOp, an Emory start-up company founded in 2002, is developing compounds to mitigate brain damage from stroke. Susan Bauer-Wu has had her share of life-changing moments. As a nursing student in New York, she learned that her mother had breast cancer. As she helped her mother cope with the emotional and physical stress of the disease, her studies took on an intense personal focus. 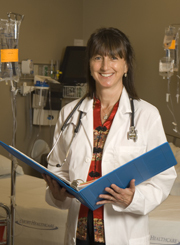 Now a Georgia Cancer Coalition Distinguished Cancer Scholar in the nursing school, she is regarded as a national leader in palliative medicine and integrative health. Bauer-Wu’s studies focus on the effects of meditation and other stress-relieving activities on cancer patients. She currently leads a large randomized clinical trial that looks at whether meditation affects subjective symptoms as well as laboratory findings such as stress hormone levels or length of time required for a patient’s white blood cells to recover after a bone marrow transplant. Funded by NIH, the study involves 241 patients at Emory and Dana-Farber Cancer Institute, where Bauer-Wu previously served as director of the Cantor Center for Research in Nursing and Patient Care Services. In a related study, she is using neuroimaging to see what parts of the brain respond to such interventions. Just recently, she received a $3.5 million NIH grant for studies to reduce heart disease risk and improve the health and well-being of family caregivers for patients experiencing dementia or heart failure (read related story). 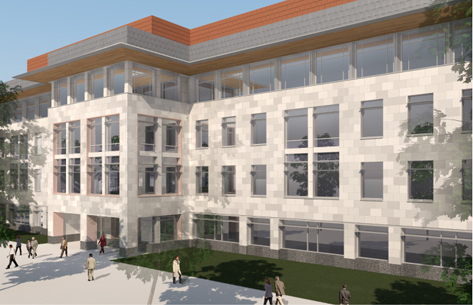 The WHSC continues to invest in researchers and research space, as evidenced by a new 200,000-square-foot research building on Haygood Drive, currently in the design development phase. It will be on the site of the old Turman residence hall, demolition of which is scheduled for completion in March 2011, to be followed by excavation and foundation work. Construction is expected to take 22 to 24 months, with completion in March 2013. The building, with a total cost of $89.9 million, will include four stories of laboratories above grade and one basement level with a vivarium and mechanical plant. 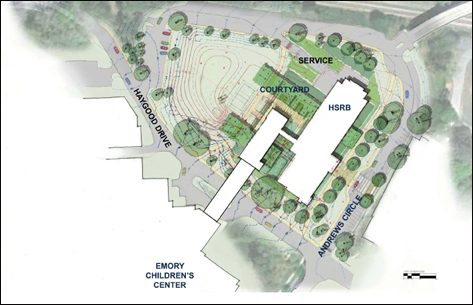 A two-level bridge, including research offices and “dry” research space, will span Haygood Drive, connecting the building to the Emory-Children’s Center. Site map of the new health sciences research building (HSRB), which will stand on the site of the old Turman residence hall (new Turman facility is on Means Drive). Kerry Ressler gleans information about mental distress not only from the patients he sees as a psychiatrist but also in his role as a neuroscientist, studying the phenomenon of fear learning in both humans and animals. In a study involving patients, for example, Ressler, who is the first practicing psychiatrist to have been named as a Howard Hughes Medical Institute investigator, works with a team of colleagues on the Grady Trauma Project. This is a study of risk factors for post-traumatic stress disorder (PTSD) in nonpsychiatric patients seen in Grady Hospital's General Medical Clinic. Pilot data from these patients suggests that more than 80% have suffered significant trauma and about 30% have PTSD. Ressler's team has evaluated some 4,000 patients thus far, with a goal of including 8,000 total. The study's funding from the National Institute of Mental Health was recently renewed at an annual rate of more than $1 million. The investigators, who include psychologist Bekh Bradley and geneticists Joseph Cubells and Alicia Smith, are looking at both genetic and environmental influences on PTSD. They are gathering demographic data and information about participants’ history of child abuse or trauma, adult depression, and PTSD symptoms. They also are collecting saliva and blood samples to determine genetic and biologic risk markers, along with measurements of startle response and heart rate. "Our data suggests that there seems to be a critical period of development for emotional memory systems,” Ressler says. “During this period, stress alters the sensitivity of genes involved in the stress response, leading to an altered stress sensitivity for the rest of the person’s life." 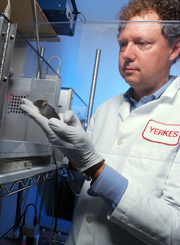 In addition to his research with humans at the Grady clinic, Ressler works with colleagues at Yerkes to study brain chemistry of fear learning in mice. One recent focus has been BDNF, a brain growth factor believed to be one of the critical molecules involved in fear learning. 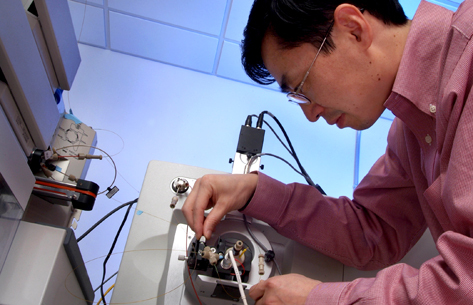 After pathologist Keqiang Ye discovered several compounds that mimic BDNF, Ressler's team at Yerkes tested their effects. In February, they reported in Proceedings of the National Academy of Sciences that one BDNF-like compound, 7,8-DHF, restored behavioral effects of BDNF in mice bred genetically to lack the growth factor. In July, the investigators reported in PLoS One journal that another BDNF-like compound, deoxygedunin, has antidepressant and neuroprotective effects on the brain but that it also enhances fear learning under certain conditions. Gene Brody is a behavioral scientist in public health whose research focuses on better ways to prevent risky behavior. 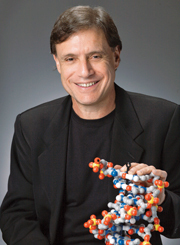 He leads the Center for Contextual Genetics and Prevention Science (CGAPS) at Emory and University of Georgia (UGA), which is one of six core centers supported by the National Institute on Drug Abuse and is funded by a five-year $5.6 million grant. Researchers in CGAPS are looking at both genetics and social determinants of health, particularly among African American children, youths, and families. "There is abundant data on how families can prevent risky behaviors,” says Brody. “Recent research by our team has shown that the protective family process can ameliorate genetic risks for youths' involvement in risky behavior. Our goal at CGAPS is to improve the quality of prevention programs to make them more effective." CGAPS will fund pilot studies for start-up projects and train future investigators. It also will serve as a repository for genetic and environmental data gathered from 4,000 African American families in Atlanta and rural Georgia. A laboratory at the University of Iowa will analyze the genetic and epigenetic (nongenetic causes of gene expression) data provided by these families. Researchers then will tap into this data to analyze how the interplay of genetics and social determinants affect the health and well-being of children, adolescents, and young adults. At a time when so much of the economic news we hear is grim, the Woodruff Health Sciences Center has an extraordinary accomplishment to celebrate. As fiscal year funding figures come in from the Office of Research and the NIH, we realize our research has continued to grow at an amazing pace—up 10.5% over last year in spite of the recession. This special issue of Health Sciences Update is a celebration of that outstanding achievement and an expression of gratitude to all those whose vision and hard work made it possible. Of course we owe some of our recent success to stimulus funding, but we also know that the quality of our research proposals was extremely high and that many of these outstanding projects would have been funded eventually, regardless of stimulus funding. We also are intensely aware of flattening and falling future federal research budgets and the need to stay at the top of our game in creating worthy proposals, recruiting promising junior and senior faculty researchers, and using all the tools of our trade to keep research proposals flowing through the pipeline efficiently. My heartiest thanks and congratulations go to the talented team of researchers and their laboratory and office staffs who continue to make Emory and WHSC a national leader among research universities. They bring intelligence, creativity, drive, and passion for the advancement of health to their work here every day, and we all reap the rewards—not only in increased funding but also in lifesaving and life-affirming health breakthroughs. These faculty and our research programs are guided by a crack team of leaders: our VP for Research David Stephens; school research leaders Ray Dingledine in medicine, Gary Miller in public health, and Ken Hepburn in nursing; and Stuart Zola, who fills this role at Yerkes. Very special thanks also to the research administrators and support staff who work to make our research enterprise function so well and continue to grow. We don't always hear about the complex work that goes on behind the scenes, but it is absolutely vital to our success and very much appreciated. Emory VP for Research Administration David Wynes directs a large and dedicated operation, including the Office of Sponsored Programs, headed by Kerry Peluso, which processes all our grant proposals and the funds we receive. Todd Sherer in Emory's Technology Transfer Office directs all patenting, licensing, and issues involved in commercializing Emory inventions. Brenda Seiton heads up the university-wide Conflict of Interest Office created two years ago to ensure uniformity of disclosure and conflict rules across the board to all schools. Sarah Putney directs the institutional review boards that make critical decisions about the conduct, safety, and effectiveness of human clinical trials. Kris West, director of research compliance for Emory University, ensures that all government and university regulations are followed, and believe me, there are many. The Office for Clinical Research, headed by Robin Ginn, is responsible for review of our human clinical trials (800 currently), supporting clinical trials education for faculty and staff and enabling us to comply with federal and Emory regulations. Dr. Wynes is the institutional officer for Emory's entire animal research program, including the Division of Animal Resources. The Institutional Animal Care and Use Committee, with Ken Gould as interim director, reviews all protocols that involve animal subjects. Patty Olinger heads the Environmental Health and Safety Office. In the WHSC, Anne Adams (see below) is the compliance officer for the WHSC and Emory Healthcare and also oversees clinical trials compliance. And of course we recognize the school and unit financial officers and their staffs who keep our research dollars flowing smoothly. These include, among others, Barbara Schroeder in medicine, Dean Surbey in public health, Martha Walsh at Yerkes, and Rob Hoover in nursing. Our research enterprise is made more promising by our partnerships. These include the Georgia Research Alliance and the Georgia Cancer Coalition, which help us recruit faculty and develop collaborations with neighboring institutions. Other partners—Georgia Tech, Morehouse School of Medicine, Children's Healthcare of Atlanta, Grady Health System, the Atlanta VA Medical Center, and the CDC—are also a large part of what makes Emory great and Georgia unique in its biomedical research. Finally, thanks to the tremendous medical, nursing, and administrative leadership and staff in Emory Healthcare, who not only allow us to provide the best care available but also help differentiate Emory from its local peers in our ability to offer patients leading-edge clinical trials that move research from the laboratory to the bedside. Transforming health and healing means pioneering discoveries that advance our understanding of disease to improve lives locally, nationally, and globally. It takes a hugely talented team to make that happen, but as you'll discover when you read the stories in this issue, that's just what we're doing. Thanks for all you do to make Emory and WHSC leaders in research and discovery. Anne Adams is interim AVP for clinical trial compliance, a newly structured position serving both the WHSC and the university. As part of Emory's system of checks and balances, this position complements related positions in the university and augments the number of independent lines of communication to the board regarding research compliance. Ray Dingledine (pharmacology chair and executive associate dean for research in the medical school) has been elected to the Institute of Medicine. HIs work has laid groundwork for new drug therapies for epilepsy and has broad implications for other brain disorders, including stroke and schizophrenia. Read more. Listen to an interview podcast with Dingledine. Michael Hart (pulmonology) recently was named the new associate chief of staff for research at the Atlanta VA Medical Center after serving in an acting role in this position over the past year. Read more about his research in internal medicine faculty profiles. James Hughes (infectious disease, medicine and public health) has been elected president of the Infectious Diseases Society of America. He took office during the organization’s 48th meeting held recently in Vancouver, British Columbia. Read more. Ami Klin has been recruited to head autism and related disorders in the Marcus Autism Center and in pediatrics at Emory. A Georgia Research Alliance Eminent Scholar, Klin is an internationally recognized psychologist and researcher. He comes to Emory and Children's Healthcare of Atlanta from Yale, where he headed the Yale Autism Program. At Emory, Klin will create a comprehensive autism program focusing on research, clinical care, training, and advocacy. A primary goal for Klin and his team will be to implement universal screening for autism spectrum disorder (ASD) in the first year of an infant’s life. Klin’s previous research has found that early intervention substantially optimizes outcomes and improves quality of life for children diagnosed with ASD. "Our most exciting goal is to make Atlanta the nation’s capital of early autism diagnosis and intervention," says Klin. Read more. Jean Khoury (Winship, hem-onc) is the first holder of the R. Randall Rollins Chair in Oncology, established recently with a gift of $2 million from the O. Wayne Rollins Foundation. Khoury’s research focuses on novel targeted agents for treating leukemia and other blood disorders. He also studies genetic profile changes in cancer cells to help better tailor anti-cancer treatments. An academic chair such as this one is the most prestigious of named academic positions and helps Emory recruit and retain top-level faculty. Read more. Rebecca Pentz (Winship, research ethics, hem-onc) has been appointed to serve on an external scientific panel to provide input to the NIH's new genotype tissue-expression project, which is designed to study how genetic variation may control gene activity and its relationship to disease. This project will create a resource for researchers to study inherited susceptibility to illness and will establish a tissue bank for future biologic studies. Read more. Guido Silvestri, a leading HIV/AIDS investigator, recently joined the faculty at Yerkes (chief of microbiology and immunology) and the medical school (pathology) as a Georgia Research Alliance Eminent Scholar. He came from Penn, where he developed a highly collaborative research program that spans nonhuman primates and humans. Here, Silvestri will work to develop new therapeutic approaches to HIV that modulate inflammatory immune responses, as well as vaccines for chronic disease. Read more. Listen to a recent Sound Science podcast in which Silvestri compares HIV in humans with its equivalent in nonhuman primates. 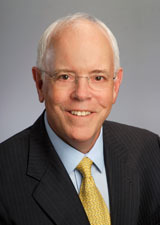 Jack Tillman was recently appointed assistant VP for research in the WHSC. He works closely with WHSC VP for Research David Stephens, facilitating, coordinating, and administering strategic research plans, clinical and translational research initiatives, local and national research partnerships, and WHSC interdisciplinary activities. Tillman also promotes the WHSC research enterprise and provides support for the WHSC research infrastructure. Dec. 13-14: Sixth Annual National Predictive Health Symposium: Molecules to Mankind. Emory Conference Center. More info. Feb. 24: 2011 State-of-the-WHSC address. 4:30 p.m. WHSCAB auditorium. Reception to follow. Till March 25: The Life and Legacy of Robert W. Woodruff. Exhibit at Schatten Gallery, level 3, Robert W. Woodruff Library. More info.